Watching a Formula One race is more enjoyable if you can get in closer on the action. Sure, you could just watch the race in the comfort of your home and get all the highlights of the race. However, nothing beats the atmosphere of actually being there. From Ferrari to Mercedes, all the thrills, fast and furious! The breath taking audacious moves of the best drivers in the world, coupled with the second-to-none reactions of tens of thousands of F1 aficionados is an experience of a lifetime! But, if you are seated far from the racetrack, you won’t be able to get a closer look at everything that’s going on. That’s why you would need to use a pair of binoculars for F1 to truly enjoy this experience. You don’t want too much magnification, as it will be difficult to maintain a steady view of fast moving cars otherwise. About 8x is enough. You’ll want lightweight optics to avoid putting too much strain on your hands or neck. Since these are mostly daytime events and there’s plenty of natural light, you don’t need huge objective lenses. You never know when the weather is going to take a turn for the worse, so water and fogproof binoculars will be a safer choice. 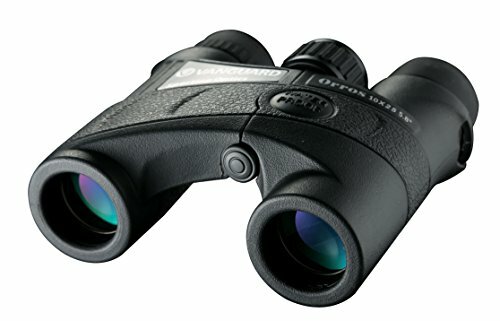 Although their name suggests that these binoculars are meant for birding, you can safely ignore that – they can be used for anything and will work great for racing events. After all, birds are fast-moving “objects”, just like Formula One cars. 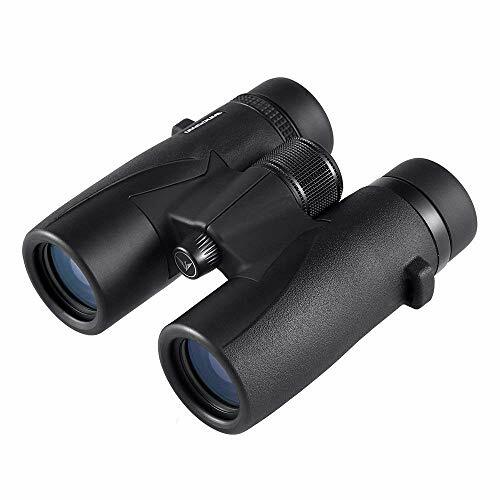 These binoculars offer a great combination of factors: they don’t cost too much at all while being top-quality, they have a nice sturdy build, they provide 8x magnification, they are easy to focus. On top of it all, they’re not heavy and they look good as well. You can use them at sports events, but also for any other activities, such as nature viewing, cruises etc. On the whole, this is a great product for the money you are unlikely to regret. Now if you want something simpler, somewhat cheaper and even lighter, then you can go for these Vanguards. They have only 25mm lens diameter, which means they are really only usable in broad daylight, but also means the are very compact. They weigh under 10 oz. Don’t expect the same image quality as with the Wingspan product above, nor the same potential for use in other endeavors, but they will nonetheless make decent binoculars for F1 events if that’s the only reason you’re getting them.